With student government elections upon the University of Florida student body, one would assume that when casting their ballot, they would have a choice to make. Last year, students had the option: Impact or Access. This year, there’s only one party: Impact. 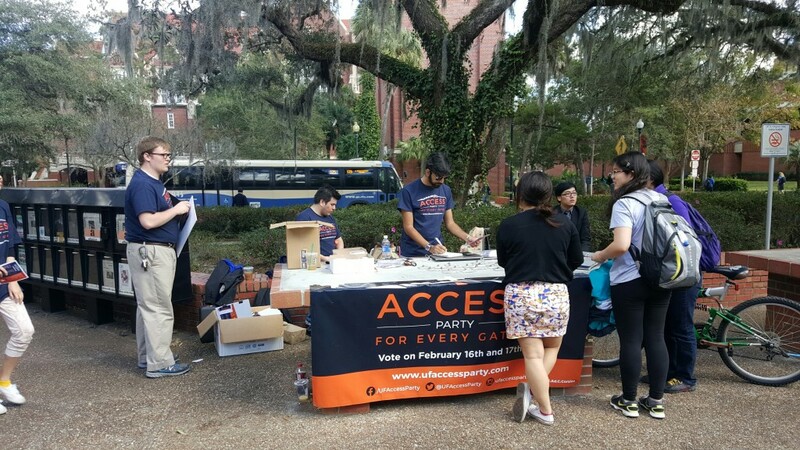 The Access party’s presence on campus was quick and fleeting. Its demise wasn’t surprising to most students. We have heard many complaints about the flaws that come with a two party system, but what’s wrong with the state of a one party government? It leads to absolute rule. The students at the University of Florida deserve to know exactly what’s going on with their government. UF politics are complicated and layered, but there are some things that are inherent in the operation itself. Claims regarding racism in SG and Blue Key have been made for years, and last Spring, a video published by a Facebook page, Not My System, exposed them. Sabrina Phillipp, the face of Not My System is also planning to livestream a Q&A on Tuesday at 8pm. As a percentage of the population, people of color again and again and again are passed over to higher positions, further explaining the notion that students of color feel unwelcome at UF. Individuals placed in Blue Key seats are disproportionately handed to Greek students, most prevalently, white men. Student Government at The University of Florida needs to be held accountable and respond to these claims. The system is still in play and it is not game over.